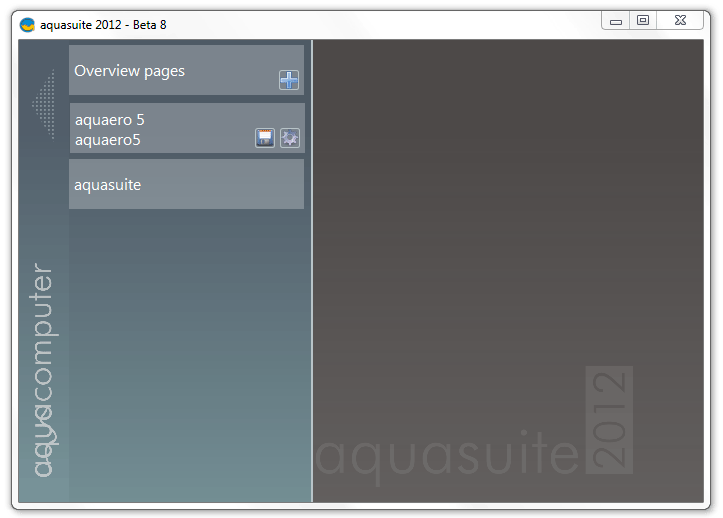 As we already mentioned, Aquasuite 2012 is still on stage of Beta-version, so there were no CD with the package. To download the latest available version visit software section of Aqua-computer home page. 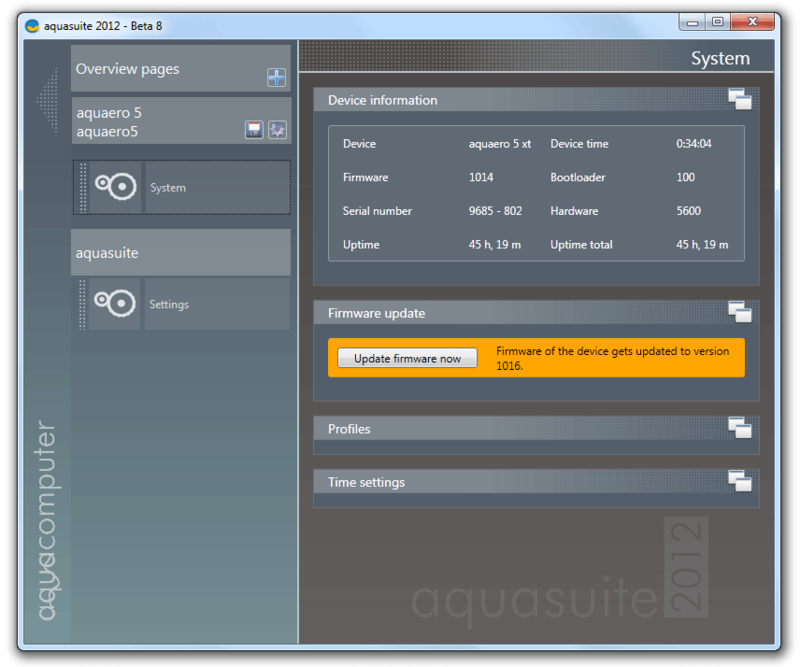 For the time this article was written Aquasuite 2012 has got eight updates on Beta version. Before you install Aquasuite 2012, make sure you have German version of Microsoft. NET 4 (Client Profile) installed on your PC. 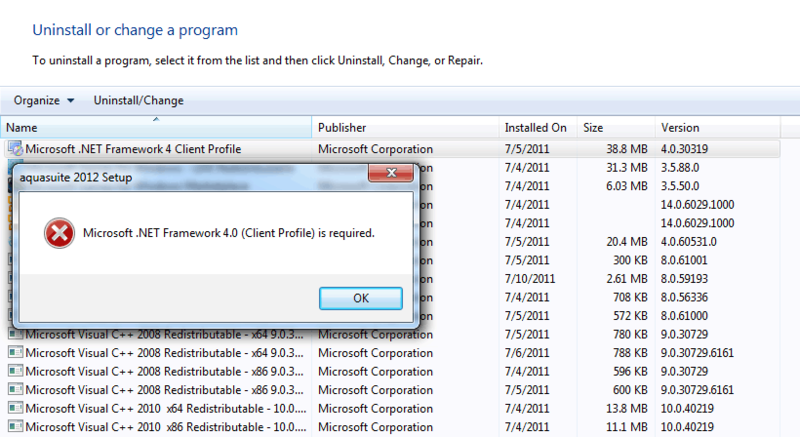 Other version of the NET client could lead to the error showed above. 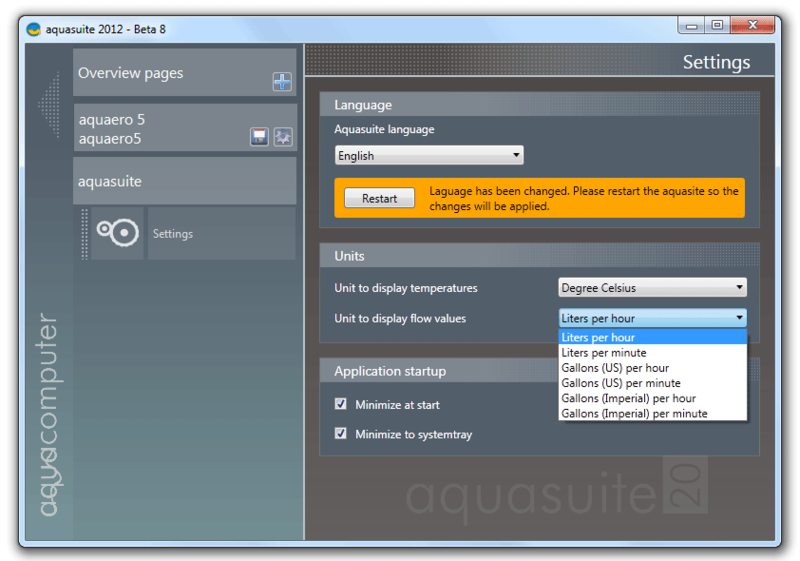 aquasuite section features language, display units and software start-up settings. Later, we will take a deep look into each tab settings, but right now we stop at Aquasuite section. This section allows application interface language change. 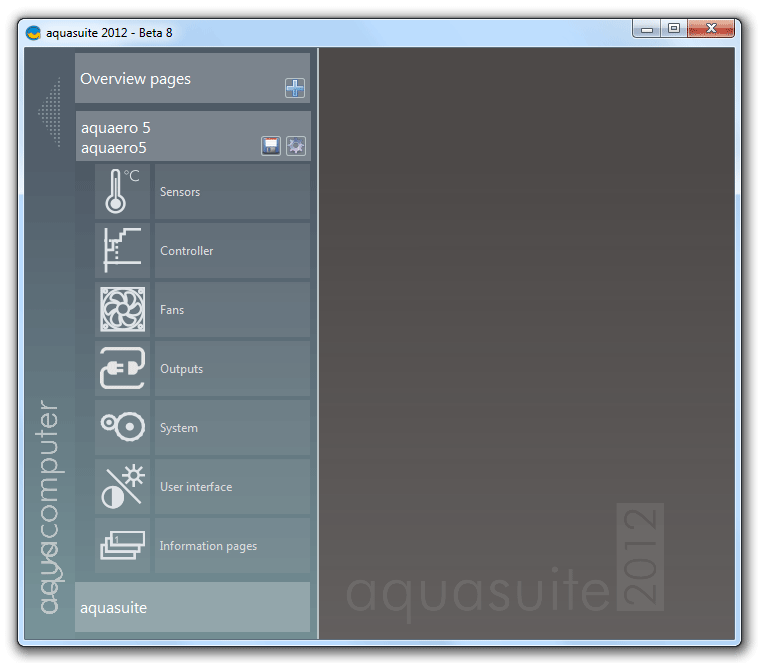 At the moment Aquasuite 2012 supports only English and German languages. For language change to take effect you must restart the application, moreover this only changes the language for software interface, but display interface language remains unchanged. Later we have found out why. Application start-up configuration features settings for Aquasuite to run together with OS or minimize it to system tray on launch.